Ever since the first film hit theaters back in 2001, the Fast & Furious series has continually reached tremendous success. Eight movies in the franchise have hit theaters so far, and the future remains bright for the action-packed saga. Over the next three years, three more installments will also be premiering, with the first being the spinoff Hobbs & Shaw. The hard-hitting crime thriller stars Dwayne Johnson and Jason Statham in the lead roles, and the former has given fans a first look on his official Instagram account. In the image, Dwayne Johnson and Jason Statham can be seen staring each other down from across a table. There seems to be some animosity between the two, with Johnson teasing that they’ll either need to “get along or get it on.” As we’ve already seen, these two seem to have some issues with each other, but are able to put differences aside when it comes to having common goals. It’s likely this is going to be put to the test in the new film, and chances are Hobbs and Shaw will come to blows at some point in the movie. Hobbs & Shaw will be helmed by Deadpool 2 director David Leitch, using a screenplay by Chris Morgan. In addition to Johnson and Jason Statham, other confirmed cast members include Idris Elba as the film’s villain, and Vanessa Kirby as Shaw’s sister. It’s unknown if other stars from the series will be popping up, perhaps in the form of a cameo, but it seems likely given the nature of the franchise. However, the focus will mostly be on Hobbs, Shaw, and their volatile relationship. With the talent involved here, the duo of Johnson and Statham will certainly be enough to carry the spinoff on its own. After the wrap of this Fast & Furious spinoff, production will soon begin on the next official entry in the film series. The untitled ninth Fast & Furious film will be hitting theaters on Apr. 10, 2020, with Justin Lin directing and Daniel Casey writing. Plans are also already in place for Fast & Furious 10, which is intended to be the final film in the series. That movie has a release date set for Apr. 2, 2021. However, it was also announced earlier this year that Universal and DreamWorks are producing an animated series based on the franchise, which will stream on Netflix. It’s certainly possible we’ll be seeing other spinoffs as well, in the same vein of Hobbs & Shaw. 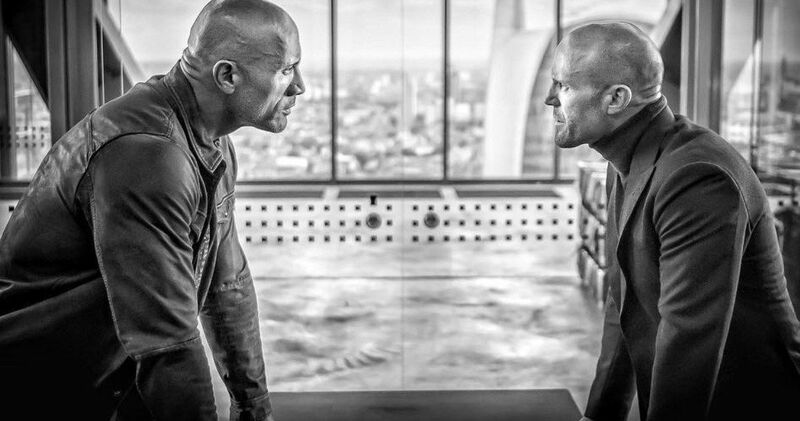 Hobbs & Shaw is now in the midst of filming, as Johnson has revealed. The film is slated with an official premiere date in theaters of Aug. 2, 2019. More sneak peeks will likely be forthcoming, with Johnson very active on social media and always providing his fans with these kinds of early looks. You can take a look at Johnson’s Instagram post below.